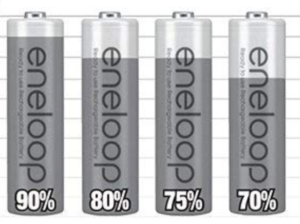 Following are typical alkaline battery specs. Battery Capacity: the capacity of a battery, measured in mAh, is how much amps the battery can provide in one hour. The larger the capacity, longer the battery will last. Typical Drain: this is how much current (amps) is typically drawn from a circuit that uses a particular type of battery. Voltage: 1.5 V batteries will provide 1.5 volts when full and steadily drop to 1 volt when completely discharged. Alkaline vs NiMH: Alkaline batteries are single-use batteries with an average capacity of 2500 mAh. NiMH batteries (rechargeable) have an average capacity of 1900 mAh. Voltage vs Current: Voltage is like water pressure which pushes things down a pipe whereas current is like the amount of water flowing down a pipe. 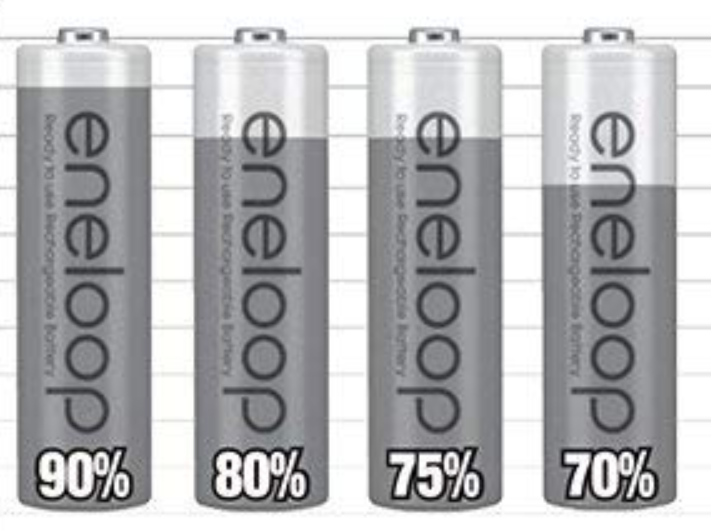 With rechargeable batteries, charging the battery puts more amps (current) in the battery. Some chargers let you charge at different rates, e.g. 200 mA, 500 mA, and 700 mA. Of course, the higher the charging current, the quicker the battery will be fully charged. Different circuits require different amounts of voltage and current. TV remote controls, for example, require two AAA batteries placed in series (positive end of one battery next to negative end of the other) producing 1.5V + 1.5V = 3V. The remote will draw however much current it needs from the battery. The more current the circuit draws, the quicker the battery will be discharged.